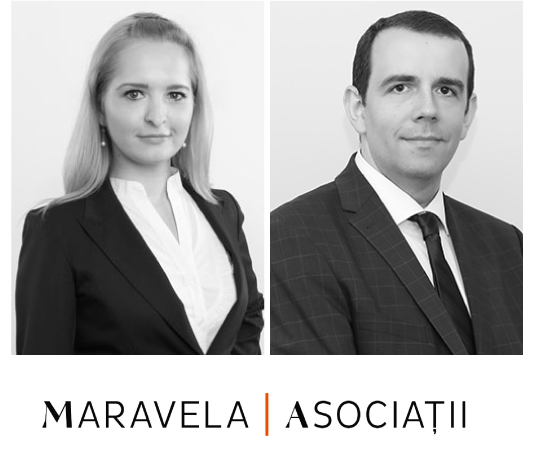 On July 30, the Romanian Ministry of Finance issued an order launching the procedure whereby investors may obtain non-reimbursable funding for investments made in Romania. The funding is regulated by Government Decision no. 807/2014 on the setting up of a State aid scheme having as object the stimulation of investments with significant economic impact (“Scheme”), enforced for purposes of the measures discussed herein by Order no. 2629/July 30, 2018 of the Minister of Finance approving the guide for applicant seeking financing under the Scheme. The specific aim of the Scheme is to foster regional development via investments with “significant economic impact”. The Scheme was thus issued under the regional development related provisions of Commission Regulation (EU) no. 651/2014 of 17 June 2014 declaring certain categories of aid compatible with the internal market in application of Articles 107 and 108 of the Treaty on the Functioning of the European Union (“GBER”). This means that aid measures granted pursuant to the Scheme need not be previously approved by the European Commission. The call for eligible projects will start on Monday, September 10, 2018, and the EUR 145 million available budget will be split among selected beneficiaries on a first come – first served basis. Per the provisions of the Scheme, the source of financing consists of Government funds in the form of budgetary credit lines, payable until 2023. The maximum financing available for each eligible project differs per the Development Region (“DR”) in which the investment is projected for implementation, with up to EUR 37.5 million per project being available for the North-Eastern, South-Eastern, Southern-Muntenia, South-Western-Oltenia, Central, and North-Western DRs. Aid amounting to maximum EUR 26.25 million is available for investment projects to be implemented in the Western and Ilfov DRs, while only EUR 7.5 million are available as maximum financing for each investment project that will be implemented in the Bucharest DR. The maximum intensity of the aid is of 50% for the North-Eastern, South-Eastern, Southern-Muntenia, South-Western-Oltenia, Central and North-Western DRs. The intensity of the aid decreases for the Western and Ilfov DRs to only 35%, while for projects implemented in the Bucharest DR the maximum intensity of the aid is limited to 10%. In practical terms, this means for instance that for an investment in Constanța, Iași, Brașov, Cluj-Napoca or Craiova, out of a minimum investment of EUR 3 million (roughly RON 13.5 million), the investor may be reimbursed for an amount of maximum EUR 1.5 million, while for similar investments in Timișoara or Otopeni, for a like investment, the value of the reimbursement will be limited to roughly EUR 1 million. The lowest reimbursement rate will be for investment projects in Bucharest (considered to be the most developed Romanian region), where for an EUR 3 million investment, the maximum amount that can be reimbursed by the State under the Scheme is limited to EUR 300,000. Potential investors should know that only projects consisting of a minimal EUR 3 million (roughly RON 13.5 million) initial investment will be considered as eligible. Since the Scheme will provide aid on a first-come first-served basis, the Ministry of Finance will provide weekly updates regarding the list of applicants and the status of the analysis in respect of each of them. This means on one hand that the investment cannot start until a favorable financing decision is obtained pursuant to the Scheme. However, preparatory measures (such as buying a land plot, undertaking the necessary steps to obtain endorsements or approvals or undertaking feasibility studies) are not considered as a start of the implementation of the investment project pursuant to the Scheme. In addition, potential beneficiaries must not have relocated in the relevant DR in the 2 years before the filing of the financing request. The enactments governing the Scheme allow for the amendment of the investment project and for the replacement of certain parts of the investment. Financing can be granted for investments made in every sector of the national economy, except for fishing and agricultural production. Should a potential investor’s main scope of business be in a non-eligible sector for purposes of the Scheme, their investment project(s) may still be eligible to receive financing should the respective investment be made in a different sector that is eligible. Potential beneficiaries of the financing under the Scheme must not be “failing firms” or subject to enforcement, insolvency or bankruptcy proceedings, they must not be subject to State aid recovery measures and should have not benefitted from regional aid for salaries in the same investment project. Investors that have at least one closed fiscal period must also have a turnover profitability above zero in the preceding fiscal year and must also own personal-capital in a positive value in the same fiscal period. Newly set-up companies, for which the scheme is also made available, must also not be owned by shareholders that have, in the 2 years prior to the one in which the financing request is filed, owned companies which undertake or have undertaken the same activity for which financing is sought through the request filed by the newly established investor. Should a potential investor’s bid for State financing be successful, it is compelled to commence the investment within maximum 4 months as of the date when the financing was approved by the State. Also, investments financed under this scheme must be maintained operational for a period of at least 5 years as of the date when the investment project was declared to have been finalized. Investors must also commit not to relocate out of the relevant DR for 2 years after the finalization of the investment project. The selected projects are to be strictly and closely monitored via on-site inspections by the Ministry of Finance. This publication contains general information only, and it should not be considered as legal, tax, accounting opinion or other professional advice or services. This publication is not a substitute for such professional ad vice or services, nor should it be used as a basis for any decision or action that may affect your finances or your business. Before making any decision or taking any action that may affect your finances or your business, you should consult a qualified professional adviser.